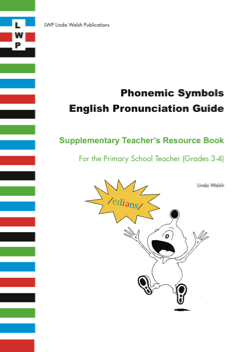 That’s the aim of the following materials that were written as a guide to learning to pronounce and recognize the International Phonemic Symbols. They are intended for learners from higher primary school level through to adults who wish to improve their English pronunciation. Learning to recognize and pronounce the phonemic symbols leads to student learning independence and confidence when speaking. 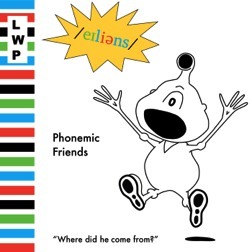 All the pronunciations use the International Phonetic Alphabet (IPA). 52 page comic following the adventure of Phonsy an alien from Planet PSP10. 8 Units using common vocabulary at this level. Extra thick paper to colour in. Laminated double-sided A4 phonemic symbol chart. Colour coded for easy learning. Hole-punched for easy storage in a folder. The combination of these 2 teacher's books provides comprehensive resources and support for teaching students at grade 3 primary school level through to adults. Tips about how to start teaching the symbols. Classroom activities for young learners, teenagers and adults. Photocopiable material, including classroom cards. 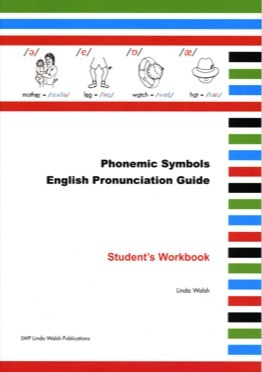 An 8 page pronunciation glossary. List of tracks on the CD included with the chart. Written phonemic symbol exercises and solutions. Extra symbol and sound classroom activities for young learners. Guide to integrating the comic with the normal course book. How to proceed after the comic. Printed audio script of Phonsy. 3 worksheets as part of the extended ideas section. Download Phonsy audio sound track here. The same electronic resources listed above are at present in the testing phase and will be released in early 2014. 15% reduction on all set prices!! 4 laminated pages that can be folded once and stored in a folder. Audio practice pronunciation of the phonemic symbols as well as an extended classroom version. 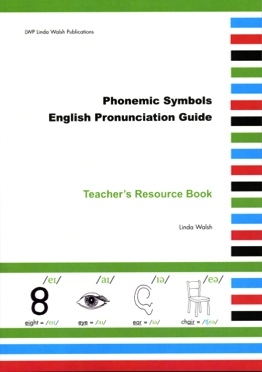 Audio solutions to the written phonemic symbol exercises in the Student's Workbook. An 8 page audio pronunciation glossary. An 8 page audio glossary included in the Student's Workbook. 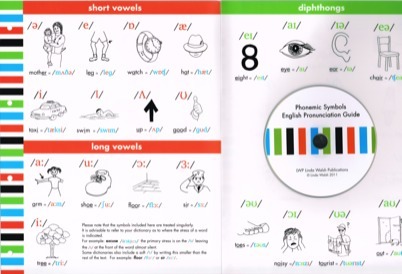 Laminated double-sided A4 phonemic symbols chart.